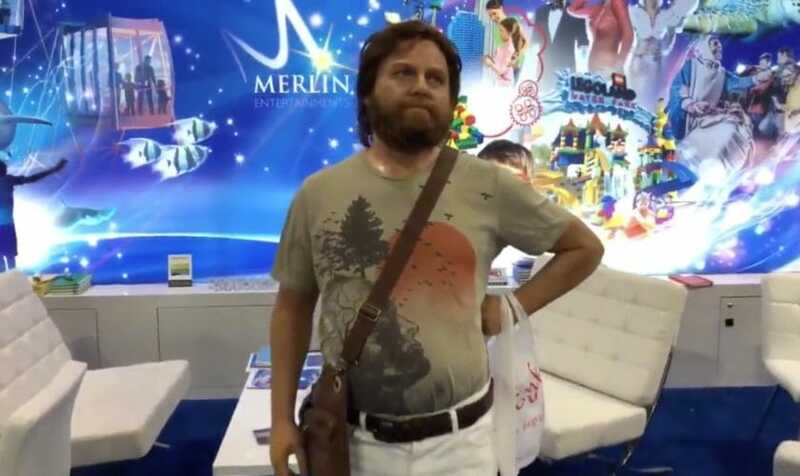 Fans of the 2009 comedy classic The Hangover can now hang out with their Wolf Pack in the recently opened The Hangover Bar Experience at Madame Tussauds Las Vegas. The Hangover Bar Experience, which debuted over Memorial Day weekend at Las Vegas’s Venetian resort, is a full-service bar inspired by the scene in the hit movie The Hangover where Phil, Stu, Alan, and Doug make a rooftop toast that kicked off the film’s events. 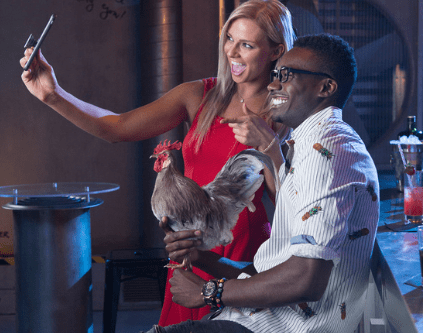 Industrial design elements that invoke the roof of Caesars Palace, where the scene takes place, include ducting tables and pipes, an aircon feature, an LED backdrop of the world-famous Las Vegas skyline, and more. Custom Hangover themed drinks — such as Wolf Pack Shots, What Happened Last Night or Tiger’s Blood — are on the H bar’s menu. Admission to Madame Tussauds is required to enter the bar, and beverages can be purchased a la carte, or with a ticket combo package that includes either one cocktail, or a half-hour of open bar service. The Hangover Bar is the latest addition to Madame Tussauds Las Vegas. The bar joins an existing The Hangover Experience exhibit, which currently features the notorious hotel suite and wedding chapel, as well as figures of Alan (portrayed by Zach Galifianakis), Phil (portrayed by Bradley Cooper), and Mike Tyson.